Last month, you may have seen our post highlighting the Top Family Travel Influencers built using GroupHigh‘s discovery feature. This month, we’re excited to share with you a great list of Home Improvement & Decor Influencers with summertime DIY projects. 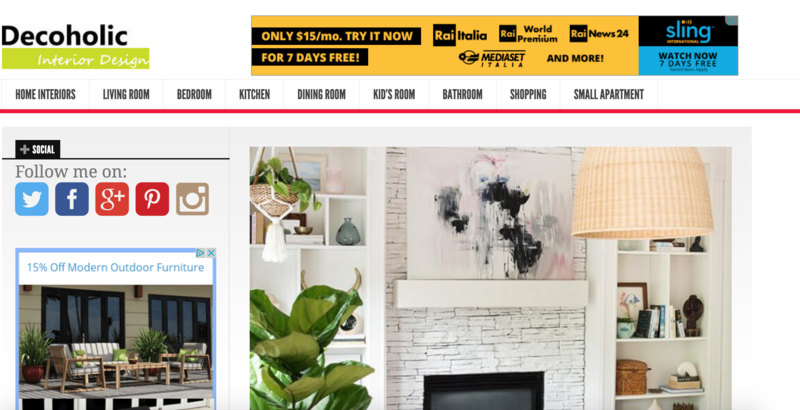 This list of influencers love engaging with their audiences, offering helpful tips and tricks for do-it-yourself home improvement projects and step-by-step highlights of their own renovations. According to Kate Arends, “Wit is a sharpness and quickness to the process, while delight is finding the joy and the humor throughout each step.” Her blog, Wit & Delight, showcases her own personal and home décor style, and has garnered 3.1 millions unique followers since it began in 2008. Brittany Bailey loves breaking stereotypes. Her blog, Pretty Handy Girl, aims to break down the stereotype that women aren’t handy and to offer home improvement and DIY projects to anyone who wishes they were handier. Bless’er House is the brainchild of Lauren Shaver. Lauren is a wife, mother, and DIY project fanatic who loves putting her “southern” touch on things. Her blog is filled with tips & tricks for staying on budget with home décor projects, and shares insight into her own family’s home improvement initiatives. Ashley and her husband are both DIY pros who love sharing their various projects write Domestic Imperfection. Receiving over 320,000 page views a month, Ashley’s blog is a perfect blend of captivating aesthetic and helpful advice. Refresh Restyle is curated by Debbie Westbrooks. Always looking at new things and wondering what she can create, Debbie features her daily projects and even has an “inspiration Monday” section for her favorite new things. Mandi Gubler is the voice behind Vintage Revivals. Her blog focuses on being fearless- highlighting step-by-step her DIY transformations of entire spaces. Mandi’s super interactive- she loves it when her audience sends her pictures of their own DIY designs for feature as well. 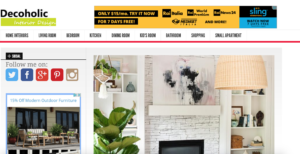 Categorized by different interior design spaces, blogger Melina Divani’s site Decoholic keeps up with the latest trends in interior design and offers readers a look into various design submissions from around the world. In 2007, Myquillyn Smith launched the Nesting Place as a place to have fun with and share her obsession with houses. To Myquillyn, “It doesn’t have to be perfect to be beautiful,” and she focuses on creating spaces to live real lives and be who they really are. Stacy is a stay-at-home mom of four boys and created her blog, Not Just a Housewife, to showcase the creative home improvement projects she completes on her 1938 cottage. 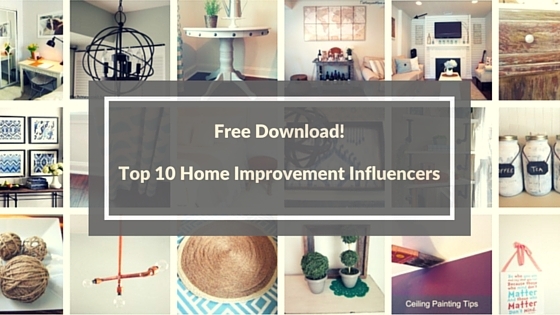 Click here to download our fill list of the top 75 Home Improvement/ DIY influencers. The Cost Of Losing Control: FTC Compliance & Your Influencer Marketing Campaigns. It is very good for everyone. I really like it. Home improvement is very much essential for homeowners, it helps to develop the current condition of our home and also gives an attractive look. The homeowner must follow certain ingredients to take care of their home condition and therefore, they used to take some beneficial lessons from different sources to develop the home conditions. Thanks for this wonderful article and we can get a perfect home condition while following these ingredients. Really very interesting article to read. Thank you so much for sharing us! So useful article and I like your article and writing skills, You wrote this article very well. Home improvement is very much essential for homeowners, it helps to develop the current condition of our home and also gives an attractive look. Thanks for this wonderful article and we can get a perfect home condition while following these ingredients. Thank you a lot for sharing this with all of us you actually know what you are talking approximately! Bookmarked. Thanks for the sharing such a great post.